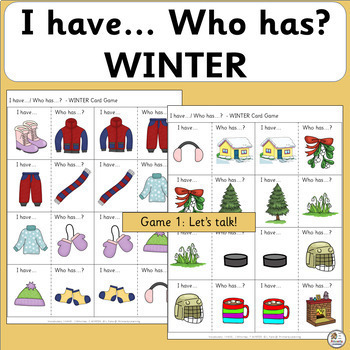 I Have Who Has Games with Winter pictures provides opportunities for children to practice identifying and naming items that can be found, and activities that people do, in the Winter. 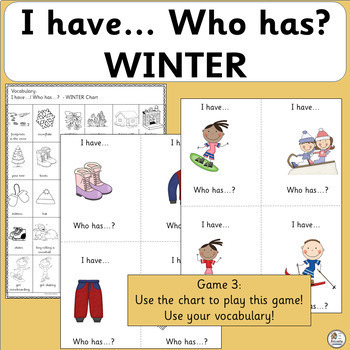 I Have Who Has Games for Winter are great vocabulary builders for Kindergarten, Grade One and ESL classes! 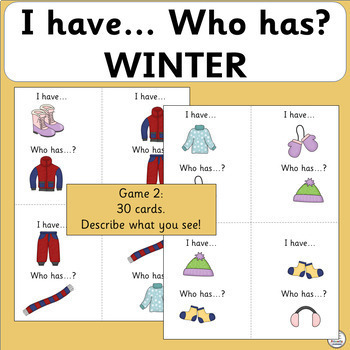 · I have… /Who has…? 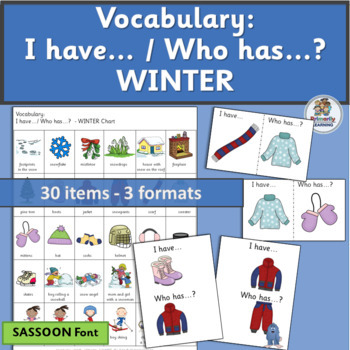 WINTER (SASSOON) FREE!